November 14 @ 6:00 PM. Humanities majors are the most successful applicants to law schools! So it’s no surprise that many of Cleveland’s top lawyers spent their undergraduate years studying History, Art, English, and Philosophy. 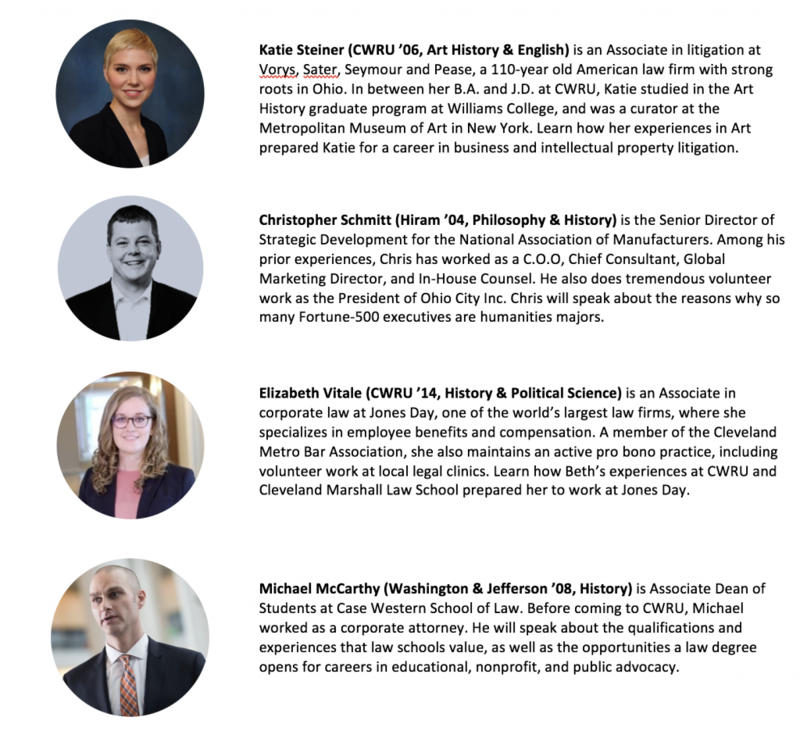 At this panel, learn how the humanities @CWRU can prepare you for a career in law… Four guest speakers at will talk about their own paths from the humanities to successful careers in corporate M&A, international law, marketing, and nonprofits. DINNER WILL BE PROVIDED.